When I am watching what I eat (which is basically everyday) I always crave a salty crunch for a snack. The problem with this is that salty snacks are hard to stop eating. You know they say you can't eat just one and it's true, I can't. So I have been on the hunt for a good for you, low fat/calories and tasty salty snack. This has lead me down some roads of over indulgence of good for you foods, but that quantity I consume is not, which doesn't help when you are trying to get poolside ready. The good thing is I think I may have found the perfect solution to cover both areas of quantity and healthy. The other day my friend Joanna came over for dinner and brought some kale. She had seen Gwyneth Paltrow on The Ellen Show where GP showed a few recipes from her new book, one of them being kale chips. Kale chips? Yes! She quickly put them together and at first bite I knew I needed to keep these on hand! They are super crunchy, salty and delicious and always hit the spot for me in the afternoon when I am desperately needing a crunch fix. The good for you factor is high and the calorie consumption is minimal so I feel good about what I am eating. It's a win win for my daily diet. Here is the recipe for you to try and I do think you and your family will enjoy it! Preheat the oven to 300°F. Wash kale thoroughly and remove center ribs and stems. Tear or cut leaves into bite size pieces and then use a salad spinner of towel to remove excess water. possible or you will have it take longer in the oven. 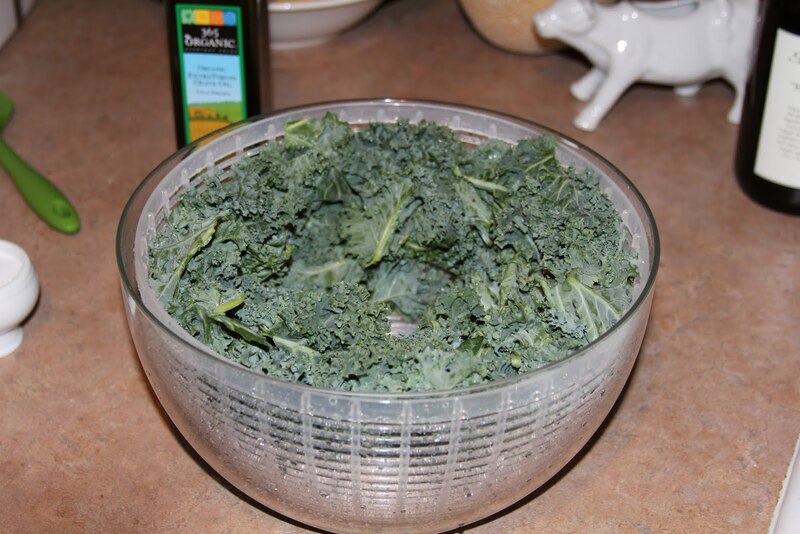 Combine kale and olive oil in a bowl making sure to distribute evenly to all pieces. 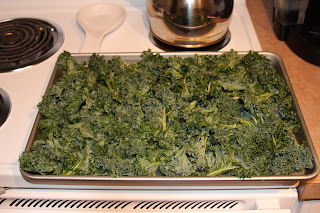 Place leaves evenly on large baking pan and lightly salt. 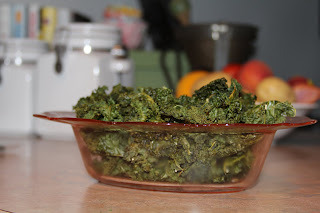 Bake until crisp about 20 minutes for flat kale or 25 minutes for curly kale. *To avoid over baking I suggest checking the kale at around 15 minutes. Yum! I want some right now. 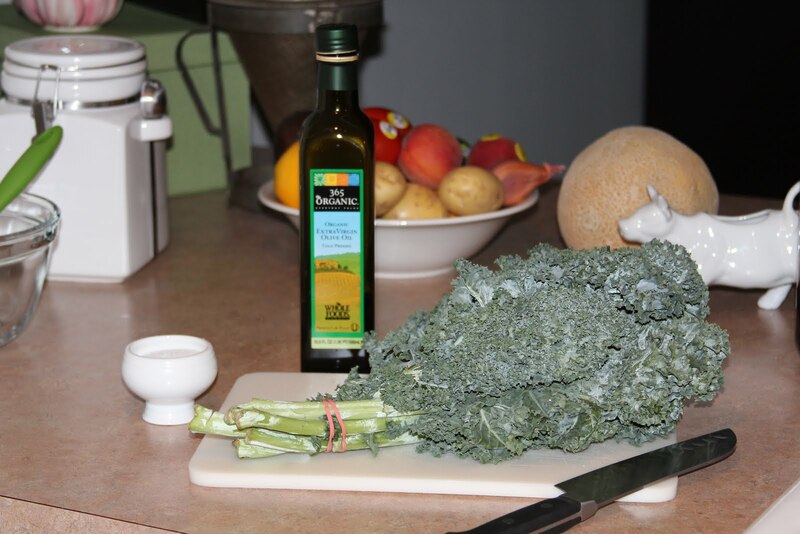 Suggestions - To add a little flavor to your kale you can sprinkle with smoked paprika, use garlic or onion salt in place of regular salt or just play around with a few of your favorite spices!